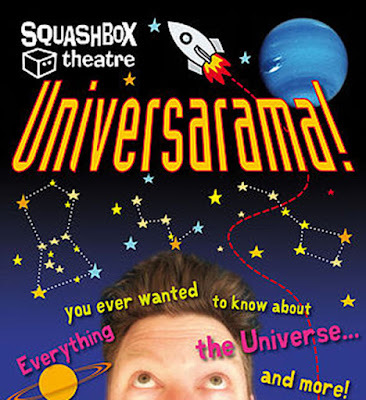 The wonderful Squashbox Theatre return to St Ives with a new show for kids and families. Universarama - Sunday 1st May - 2.00 pm - St Ives Guildhall. Tickets: £5 Adult, £4 Child, £16 Family. 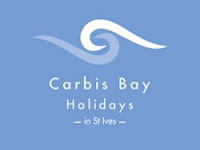 Available from St Ives Visitor Information Centre at The Guildhall. Since the dawn of time, human beings have gazed up at the night sky and wondered… What’s up there? How far does it go? Does it ever end? Well, wonder no longer! All these questions and more will be answered in Universarama! (Possibly). Let Professor Johnson of the Squashbox Theatre Astounding And Amazing Astronomical Research Society (S.T.A.A.A.A.R.S) take you on a journey to the edges of space and time! Along the way we will explore the solar system, study the stars and constellations, visit distant galaxies, and hear the fascinating story of John Couch Adams, the Cornishman who discovered Neptune. Universarama! is a marvellous blend of spectacle, storytelling and cabaret, all contained within an accessible, funny and unique family show. 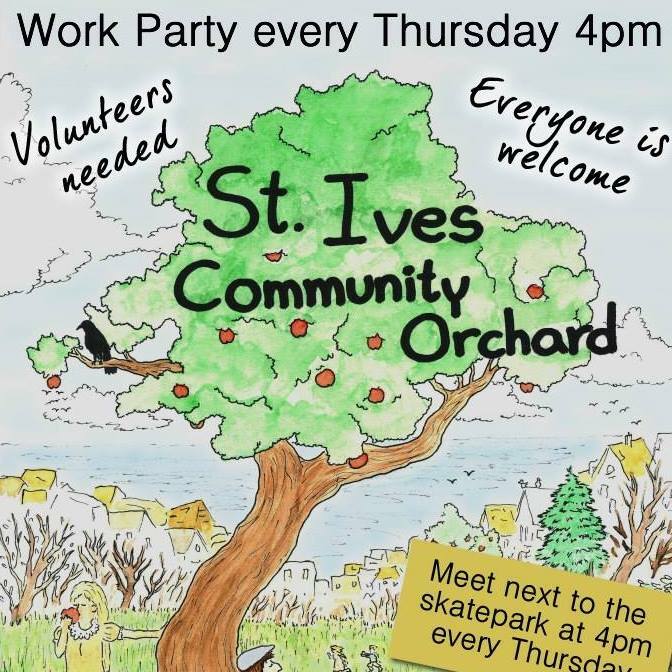 Every Thursday - St Ives Community Orchard - Work Party. 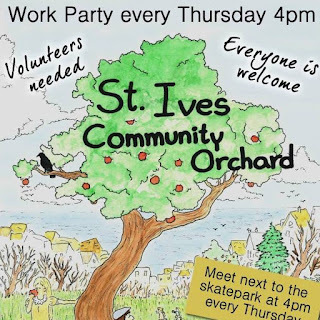 All volunteers welcome - help to maintain the fruit trees - enjoy the sunshine - and eventually some fruit. Meet next to the skate park at 4.00 pm. The Orchard is next to the park at Penbeagle - turn left at the top of The Stennack by the Fire Station - the entrance to the park is just up the hill on the right. Lots on at St Ives Arts Club over the next few days and through May. Open today - until Friday 29th April - 10.30 am to 5.30 pm. Opening tonight - Wednesday 27th April 2016 - 8.00 pm. Also on Thursday 28th and Friday 29th. Continuing - Thursday 5th - Saturday 7th May. St Ives Arts Club Upstairs Theatre Company. Adam's Apple - A Love Story. Tickets - £7.50 - from Oates Travel St Ives and on the door. Opening on Saturday 30th April. Then open daily until Friday 6th May. Exhibition - A Moment In Time. Work by Susan Barrowclough, Rita Gamble, Doris Lindemann and Karen Taffinder. Saturday 30th April - 7.00 pm. Live Music - Nick Harper. Tickets: £11.00 / £10.00 (Arts Club members). Sunday 1st May - 10.00 am to 4.00 pm. Hardback sketchbooks - with Nina Fenner. Make your own personalised sketchbook. Cost: £30.00 - including all materials. I'll be adding more photos as Spring progresses. 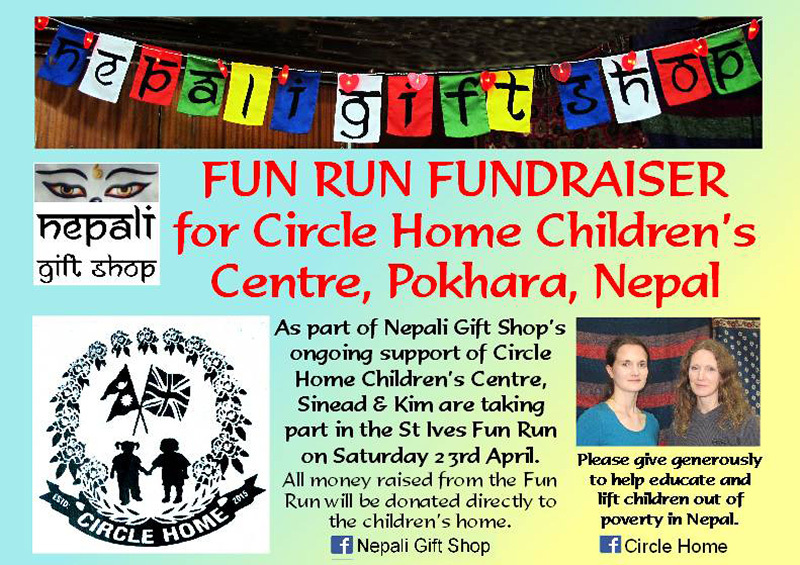 Nepali Gift Shop St Ives will be raising money for Circle Home Children's Centre in Nepal this weekend. 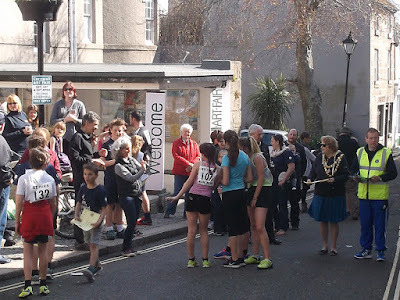 Gift shop team members Sinead and Kim take part in St Ives Fun Run on Sat April 23rd 2016. ".... where we should be arriving at some point soon after - flushed and breathless! A distance of 3.8 miles... wish us luck!" Traditionally, the event brings together a variety of individuals, groups and teams from the St Ives community. The emphasis is on ‘fun’ - runners of all abilities are most welcome to take part. 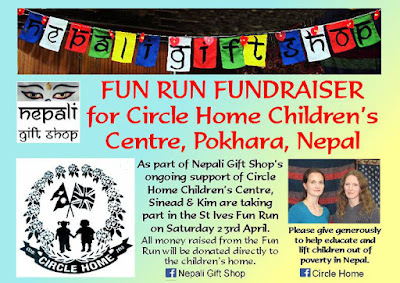 Donations can be made at the Nepali Gift Shop stall at St Ives Farmers Market on Thurs 21st April or at the St Ives Times & Echo office. 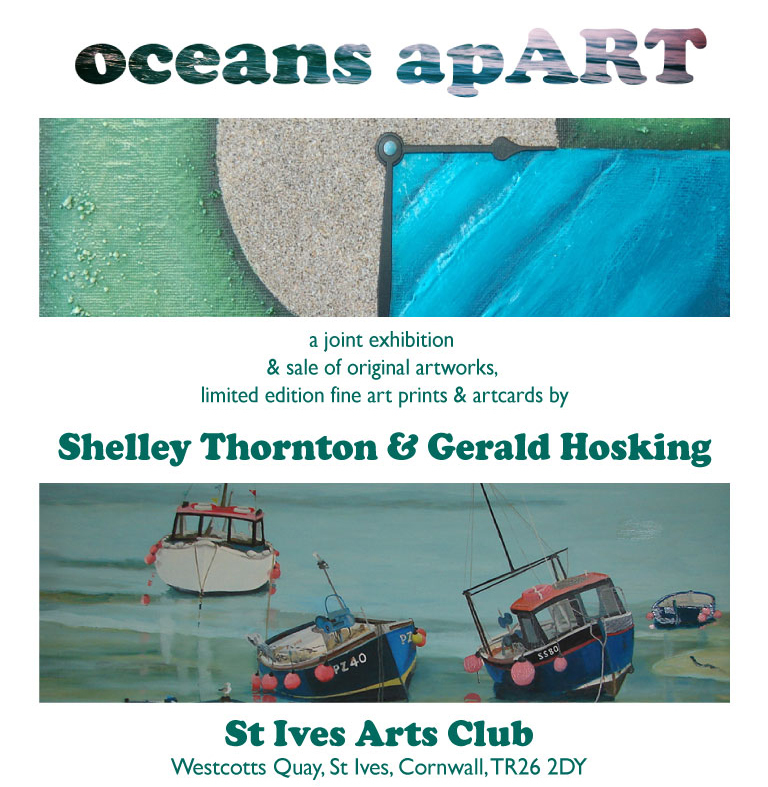 A new exhibition opening at St Ives Arts Club this weekend. Shelley Thornton and Gerald Hosking. Saturday 23rd - Friday 29th April 2016. Open 10.30 am - 5.30 pm daily. 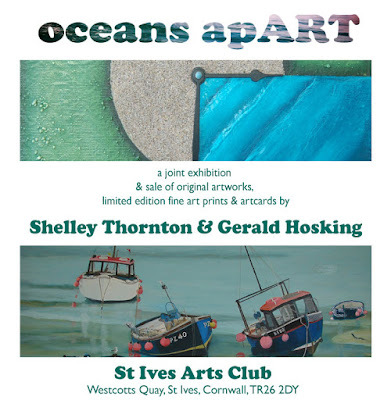 Shelley paints abstracts inspired by Cornwall and the Cornish landscape. Gerald paints a range of subjects including landscapes, seascapes and sailing boats. Well worth a visit - open daily - free entry. St Ives Textile Artist - Jo McIntosh - runs creative arts and crafts workshops - for groups, families and children. She has a programme of workshops and courses in St Ives and West Cornwall. 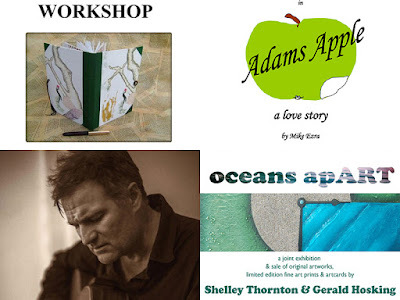 Family Time - workshops for adults and children to enjoy together. 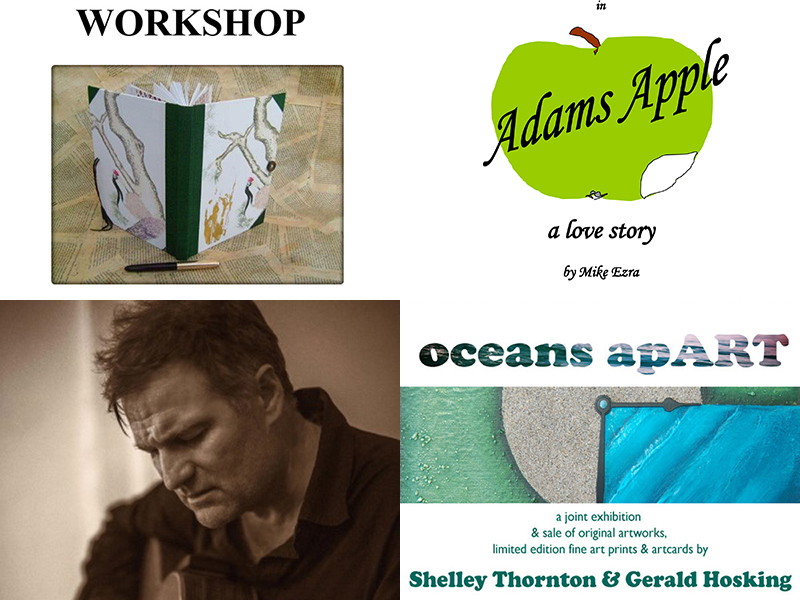 St Ives Time - workshops for children - so parents can enjoy time out together. 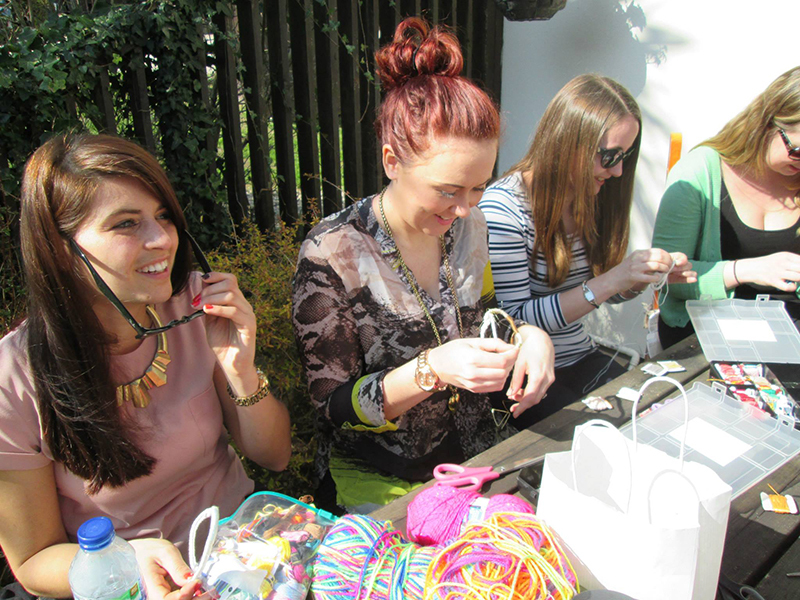 If you run a hotel or self catering property - Jo can put together a creative programme for your guests. 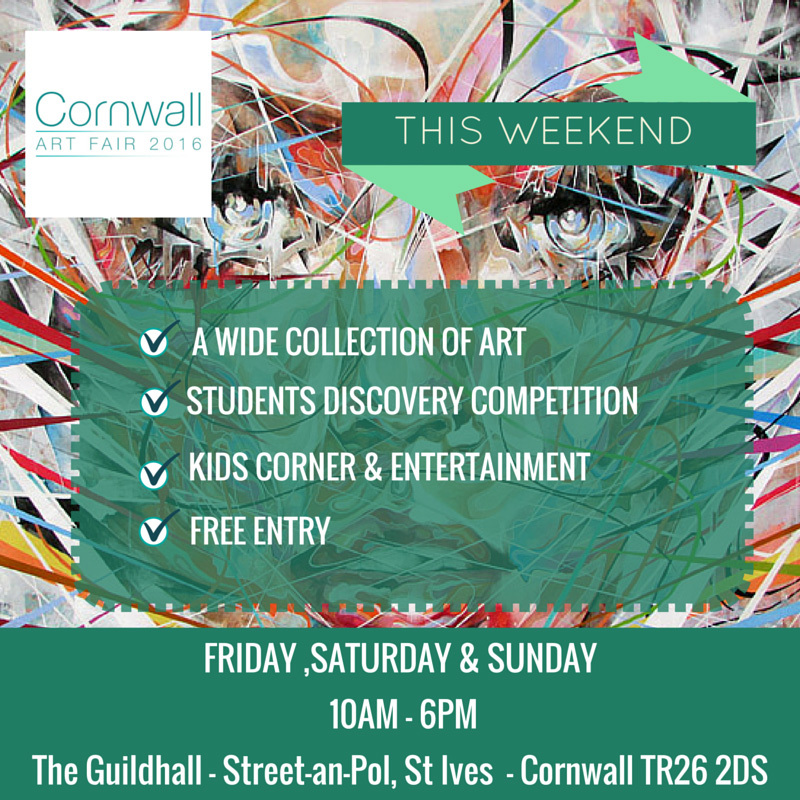 Get Creative in St Ives - Learn Something New - Have Fun ! 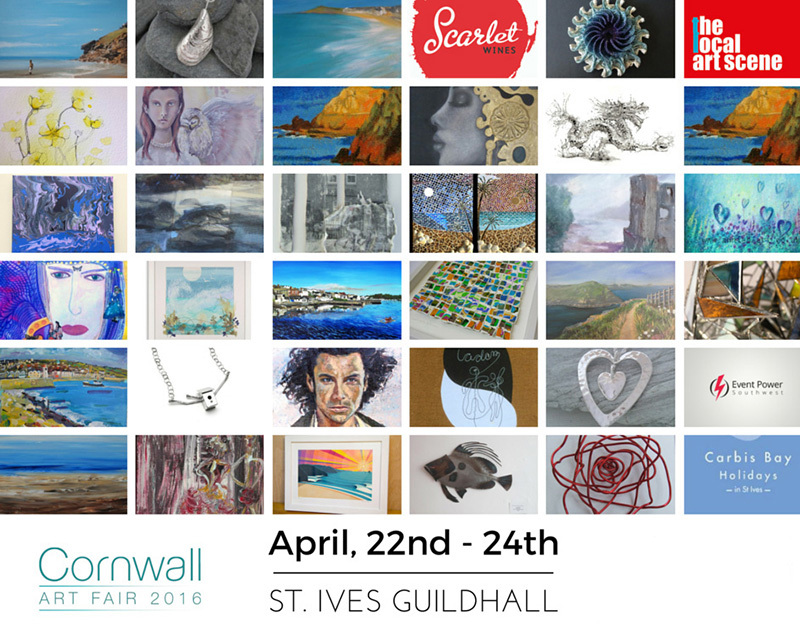 Coming to St Ives in April. 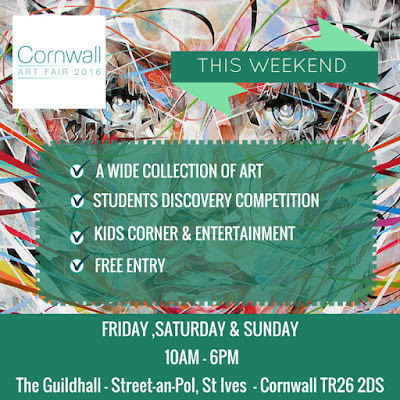 Cornwall Art Fair - A Celebration of Cornish Art. Friday 22nd - Sunday 24th April 2016. 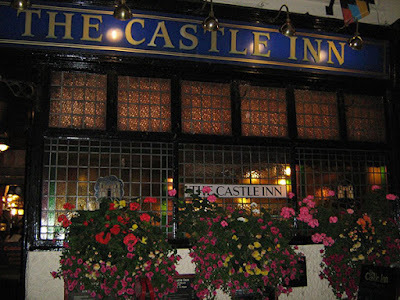 Open from 10.00 am to 6.00 pm daily. 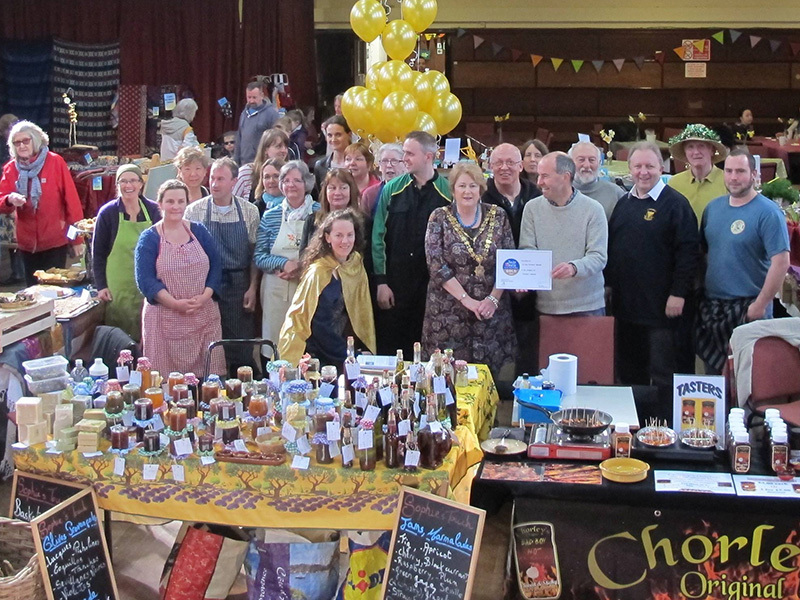 St Ives Farmers Market has won GOLD in the Taste Of The West Awards 2016. Well deserved and well done to all involved. 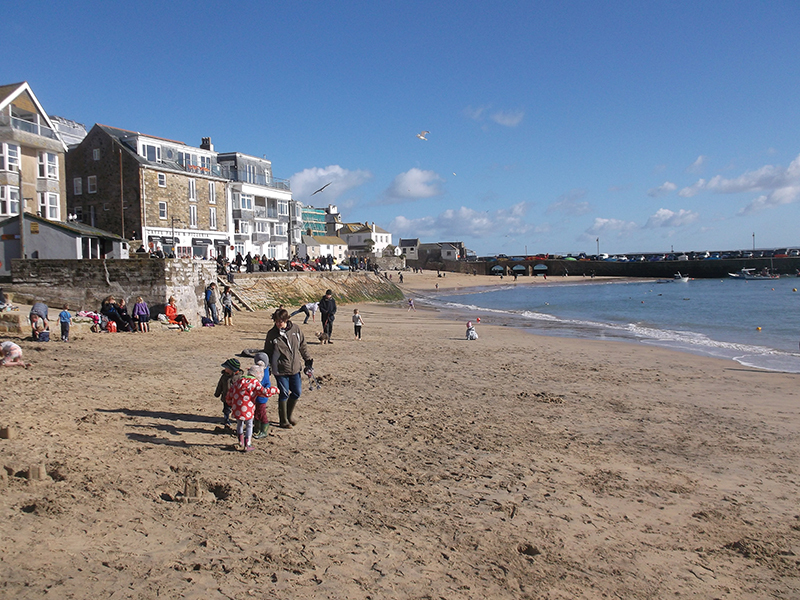 The market is open every Thursday - all year round - at St Ives Guildhall. Fresh local produce including vegetables, bread, cakes, Cornish cheeses, meat, fish, honey and preserves. 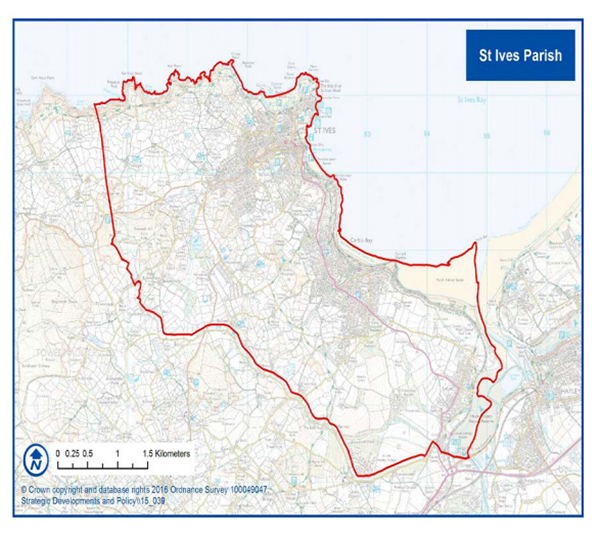 has been published by St Ives Town Council. For now its is just a proposal - there will be a referendum on Thursday 5th May 2016 - where all local residents will be able to vote - yes to accept or no to reject. I've not yet had time to read all of it - but will be doing so - so I'm not in a position to comment - yet. I suspect that the section on Housing - which starts on page 23 - is the part that will generate the most comment - and possibly controversy. What I would say is - please do read it - as it will affect the future of our town for the next fifteen years. Also - whatever your views - please vote on 5th May. Please post any comments / views that you have here. I've built up a large collection of great photos of St Ives and Cornwall over the years - covering various subjects. Some have been posted on his blog - but I'm also now compiling them into a series of themed galleries - for you to enjoy on my website.